What does it take to be a winning youth coach? 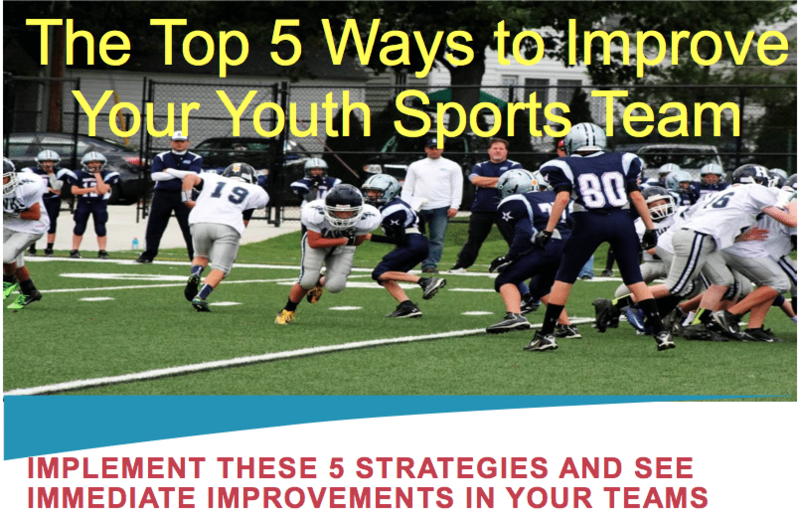 Listen in as Kevin Kennedy shares stories and discusses his journey to becoming a successful youth sports coach. Kevin is a personal trainer and runs a gymnastics gym in Paramus, NJ called Kids U. Kevin played many sports growing up, including being a collegiate wrestler and one year of JV collegiate basketball. He also kick-boxed after college. Kevin has a passion for youth sports and coaching the kids the right way. Use a kid to demonstrate proper technique. You can also demonstrate the ‘why’ – such as holding a kid’s sweatshirt to show them why their body has to be in the proper position. Demonstrating is much more important than talking – to keep the kids engaged. Use fatigue as your friend – When the kids first get out of school – let them get the blood flowing and burn off a little energy. But at the same time make sure you do skill work early in the practice, because you can’t learn very well when fatigued. Kevin coached a kid who was very anxious, and was a goalie so he felt personally responsible for every goal scored. In the last game of the year the whole team tried to get him to score a goal. Even though he didn’t – the whole team dogpiled him afterwards and they had a blast. For pre-game nerves: Don’t deny it or try to squelch it! Embrace it – be excited that you are having pre-game excitement. It means that this is important to you. Your body is responding to make you as sharp as possible by waking up all of these feelings and nerves, and you can tap into that strength. ‘I have a comment that I want back.’ Coaching his own son – he yelled at him during a game – it shook his son’s nerves and he asked to come out of the game. Coach the kids, not the parents. It’s all about the kids. Non-competitive gym. Not trying to find travel athletes, goal of giving kids confidence to try something new. This entry was posted in Podcasts and tagged in athlete, baseball, basketball, cheerleading, coach, Coaching, coaching podcast, coaching your own child, coaching your own kid, dad, dad coach, daughter, ESPN, football, gymnastics, hockey, Kennedy Fitness, Kevin Kennedy, Kids U, kidsu.com, lacrosse, mental toughness, mental toughness kids, mlb, mom, mom coach, national alliance youth sports, nays, NBA, NFL, Parenting, pca, peak performance, Pete Carroll, podcast, podcasts, positive coaching, Positive Coaching Alliance, soccer, softball, son, sports, sports podcast, sports specialization, swimming, The Classic Guide to the Mental Side of Peak Performance, The Inner Game of Tennis, volleyball, W. Timothy Gallwey, winning, Winning Youth Coaching, Winning Youth Football, youth, youth coaching, youth sports, youth sports podcast.